One favourite pastime of people is to watch movies on Deepavali day .. How much would a family have to spend now to watch movie in an airconditioned City theatre having plush seats, Dolby atmos sound system, popcorn and other facilities – before you answer, if you had been to a theatre recently, something on good old past !! ~ and have you ever had the pleasure on standing in Queue anxiously counting whether tickets would last till your turn ? – in our days, the luxury was Rs.2.90p in Devi Paradise theatre ! ~ what is it now ?, yet certain things in life have not changed and that includes the fans of cine actors spending and everyone fleecing the cine-goer. Many famous malls have been pulled down with marriage halls and commercial complex rising over there ! Way back in 1982 – for two continuous days watched ‘Gulebakavali’ mid-night show at Sriperumpudur ~ the ticket was 0.40 p or so ! ~ I was never an avid cine-buff. Gulebakavali (The Flower of Bakavali) released in 1955 had MG Ramachandran, TR Rajakumari, Rajasulochana, G. Varalakshmi, in lead roles. The film produced and directed by TR. Ramanna was the story of a young man out to find a mysterious flower, believed to have the power to restore anyone's eyesight, and the various challenges he faces during his journey. The story is linked to Arabic folklore classic, One Thousand and One Nights. The movie had a fight scene involving MGR taming a "ferocious tiger” ~ I had to accompany a group of friends – and the movie was seen in a ‘Touring talkies’[do not remember the name or did it not have a name at all ?] aka Tentu Kottai ~ the prominent features of the theatre were : there was ‘floor class (thatai tickettu) and bench class’; people would even fall asleep on the floor; as the film runs 4 reels or so, they would stop, switch on the lights, rewind the reel and then put the next reel on the machine – a good 5 min break or so – and as you try to stretch your leg, you may suddenly feel a street dog running hither and thither ! Am surprised to know that there have been cases in Apex Court involving Touring Talkies ! ~ C.A.No. 6460 of 1998.. .. it makes an interesting reading at a time when the four day-long strike announced by theatre owners in Tamil Nadu against the 30% local body tax levied by the State government came to an end and with the news of movie tickets becoming expensive with tax. Why all those who cry when the ticket price goes up slightly due to tax – remain totally shut when movie tickets are fixed at astronomical prices on the initial days of screening ~ and when so called ‘cultural events showcasing some artistes’ are priced in thousands of rupees and those assembled shriek every now and then – glitzy dances, gibberish talks and showing of cine artistes, people are prepared to spend their month’s savings; not to speak of the travelling cost, even the parking fee perhaps would be much higher than the hue and cry on tax going to Govt. Some media wrote in their first page on how much of impact the Local Body Entertainment Tax and how badly the cine-goer would be affected. Anytime the price of popcorn and a glass of pepsi is much higher – the concern is never on the cine-goer but everything is aimed at his pocket, the industry needs them to sustain their own desire of raking crores of money. Reports stated Vishal, actor and president of the powerful Tamil Film Producers Council, stopped six new Tamil films from releasing last Friday, till government withdraws LBET. The Tamil version of Dulquer’s Solo released for a day was withdrawn – he was quoted as saying that they fight is against double taxation. The film industry is not in a position to pay 38 to 48 % as taxes on a cinema ticket – but the only Q is why should the Govt waive the entertainment tax, who is benefitted by such action ? never the common man, the ordinary cine-goer. However, Tamil Nadu based multiplexes and single screens decided to go ahead with the screening of existing content till their association meets and takes a call – meantime, the Tamil Nadu government, which came under severe criticism on the LBET issue, swept it under the carpet. They reacted by coming out with the long overdue revised ticket rates for cinema theatres in the state. After a decade Tamil Nadu government revised cinema ticket rates by 25 % over the existing base price. There is absolutely no need for panic, nay not to think of that even – if theatres remain closed for a month also, life would not come to a standstill – Sun would still rise. As it happens, the Vijay starrer Diwali release ‘Mersal’ has been hyped as undergoing a struggle – perhaps a planned strategy to get free advertisement and draw more crowds. In the melee, the Touring talkies / tent kottais – perhaps are no longer in existence. Earlier they were granted exemption and the case cited earlier as in Apex Court was on the grant of exemption to touring cinema within the purview of sub-rule (2) of Rule 14 of the Tamil Nadu Cinemas (Regulations) Rules, 1957. The appellant owned and operated a touring talkies by the name of Sri Karthikeya Touring Talkies. 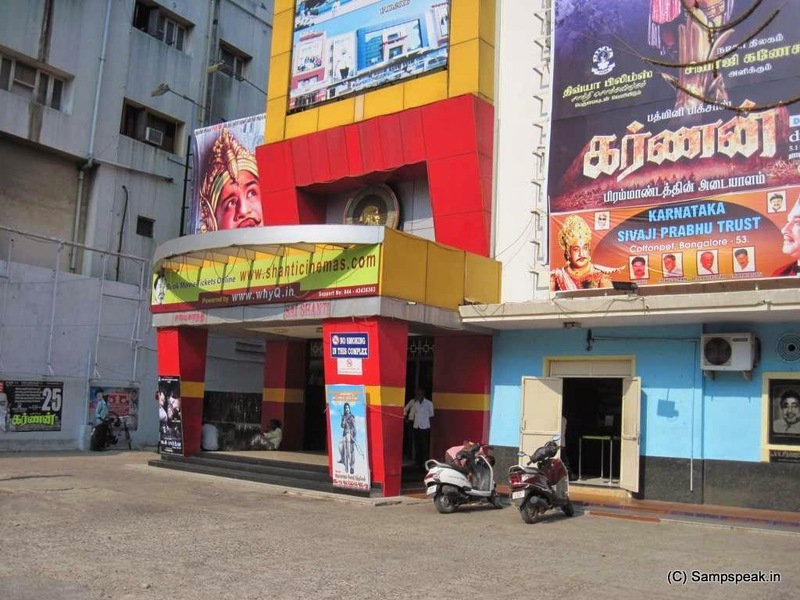 The Tamil Nadu Cinemas (Regulation) Act, 1955 under Sec 11 gave the power to Govt to exempt any cinematograph exhibitions or any place where a cinematograph exhibitions or any place where a cinematograph exhibition is given from any of the provisions of this Act or of any rules made thereunder. It had a proviso that touring talkies will not be allowed in towns with a population of 50,000 and above, if there are three or more permanent cinemas. It further stated that touring cinema shall not be allowed within a distance of 1.609 Km. 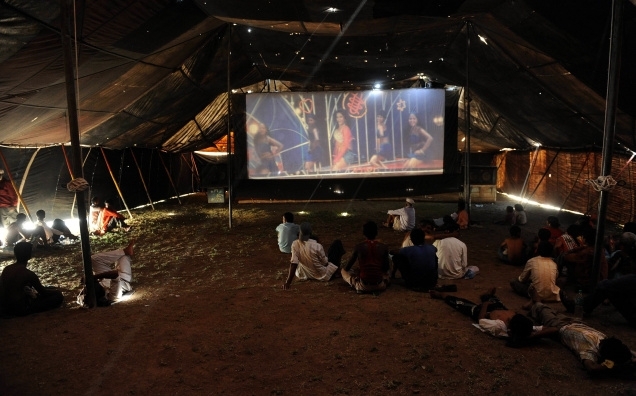 of nearest permanent cinema located in the same local area or in the adjacent village, panchayat or town or in the City of Madras. The distance between any two touring cinemas shall be not less than 0.402 Km. however, there existed no restriction in regard to the distance between one permanent cinema and another permanent cinema. It appears that the appellant's touring cinema was granted exemption in Apr 1988 by reference to Section 11 of the Act which exemption came to an end with effect from October 28, 1994. On the same day, the appellant moved a fresh application seeking a similar exemption. During the pendency of the application on September 6, 1995 the G.O. No. 1326 came to be issued making an amendment in the Rules. It also appears that between April 4, 1988 and September 6, 1995 a permanent theatre owned by respondent No.1 had come up into existence which attracted the applicability of Rule 14 and the appellant's touring cinema could not have operated unless and until granted an exemption. Feeling aggrieved by the order dated October 30, 1995, the party agitated in court of law. The Apex Court observed that it is well-settled that if an authority has a power under the law merely because while exercising that power the source of power is not specifically referred to or a reference is made to a wrong provision of law, that by itself does not vitiate the exercise of power so long as the power does exist and can be traced to a source available in law. Stating so, the Apex court allowed the appeal, setting aside the judgment of the Division Bench.